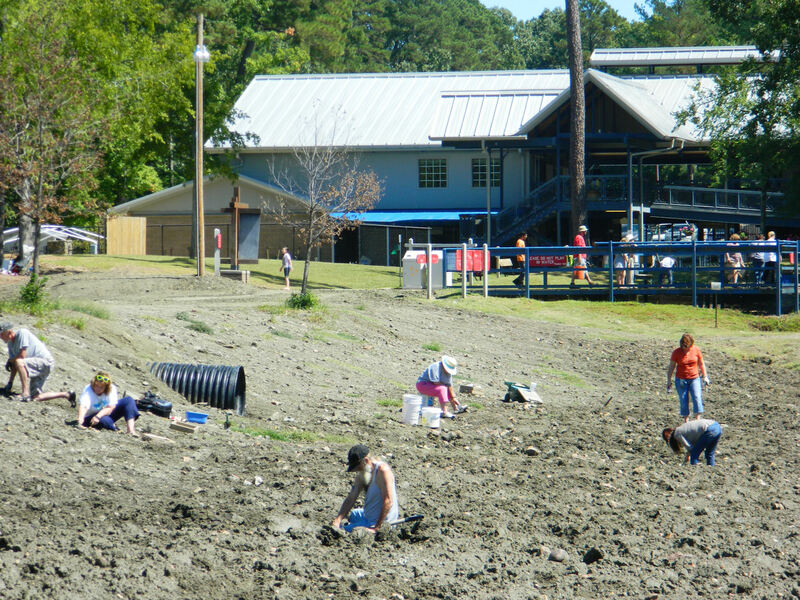 For 3 years, my real Dad has been talking wistfully about wanting to drive down from Kansas and try his hand at digging for diamonds here in Arkansas. 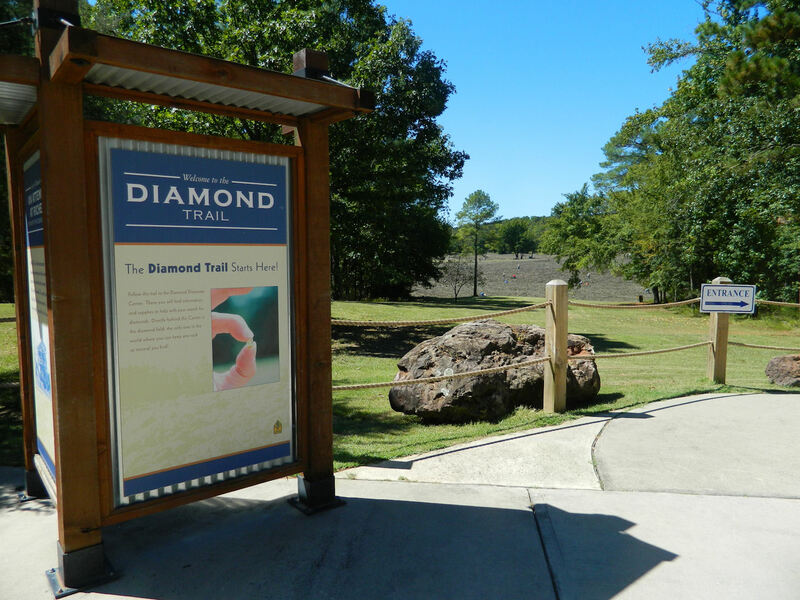 It was soon after I moved to this state from Florida that he first heard about Crater of Diamonds State Park in Murfreesboro – and the urge to go gem hunting instantly grabbed hold of him. Hard. Because the drive to that part of the state is about 6 hours round-trip from my home base in the River Valley/Fort Smith area, I kept putting him off. But we finally decided this past weekend that it was time to try our luck at uncovering buried treasure. So I packed up my dog, my Dad, some bottled water, and some snacks and made the trek over for what turned out to be a really fun, really muddy, but decidedly worthwhile day trip. 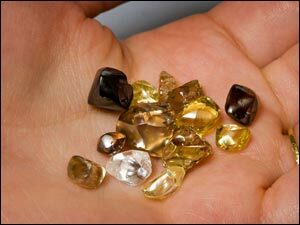 Since 1972, after the close of several mining ventures, tourists have tried their hand at digging for white, brown, and yellow diamonds at the site. And the best part? The park will help you identify your finds AND lets you keep whatever you want. There have been quite a few solid hits over the years, as well as some incredible rewards. This past August, as reported by CNN, a 12-year-old boy found a 5.16-carat brown diamond that he named “God’s Glory Diamond.” The park reports that 11 other diamonds weighing more than a carat each (and 327 total diamonds) have been found since the first of the year. So there’s obviously still treasure there just waiting to be picked up! 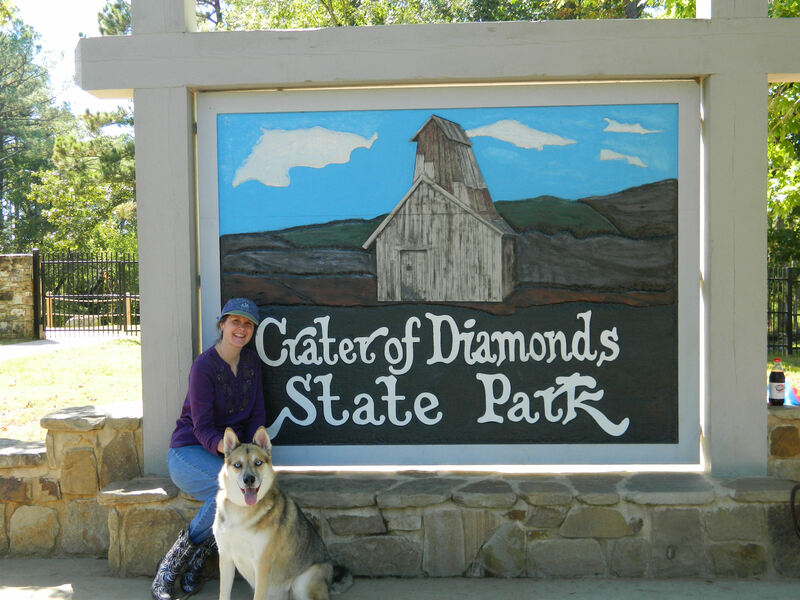 The park is located about 2 hours southwest of Little Rock and about 3 hours south and a little east of Fort Smith. Dad and I were especially excited that it had rained the day before because we had heard that can bring more gems up to the surface. Start of trail, diamond field in background! 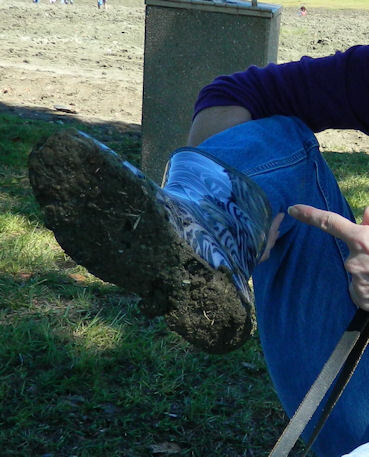 However, we never realized how much mud those rains would cause. We remembered to bring along rubber galoshes and boy, did we ever need them! After paying just $7 admission for each of us adults (my dog Dakota was allowed in free), we set off with small bags. Although many people rented wire screens, buckets, small shovels, and other equipment, we decided to just walk along scanning the surface of the field first. Dad quickly started walking, leaning over and looking, walking, leaning over. Sinking way down into the quicksand-like mud, I took about 7 steps before one of my feet got completely stuck and I had to ask for help getting pulled out of the hole! 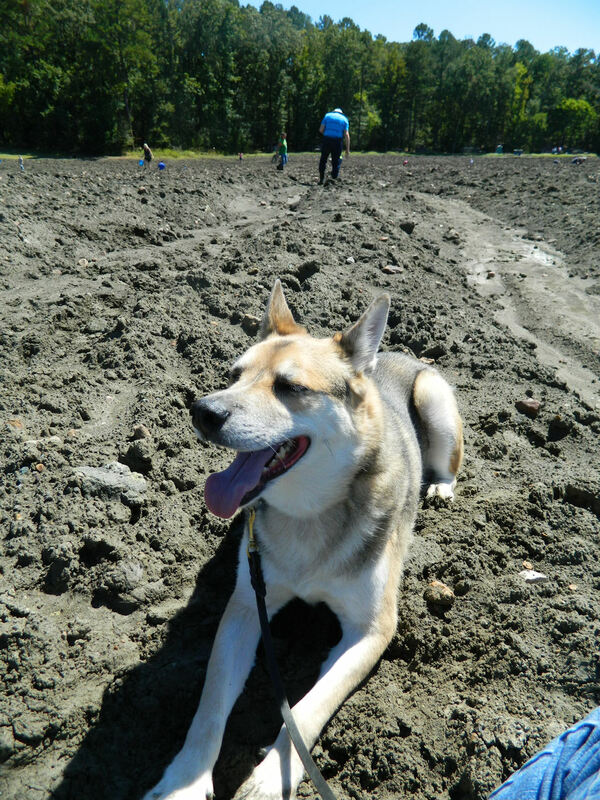 Dakota loved the squishy mud until he too got stuck. After that, we decided to avoid the deep muddy areas from that point on. Instead, we hunted (okay, I hunted and he just enjoyed the day!) on firmer walkways. 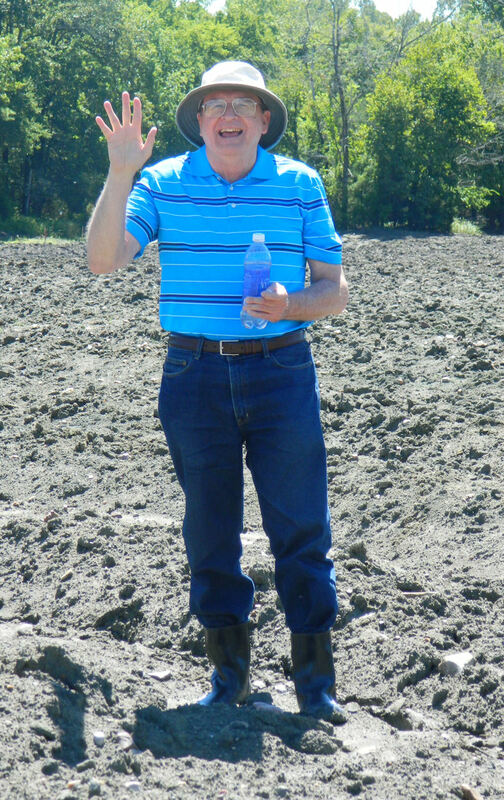 But Dad was a trooper and waded into all kinds of areas. No matter how far away he got, I could still hear his excited shouts over a possible find and then laughing when it turned out to be not so special. After a while, we decided to turn the mission towards just finding some pretty rocks for my garden and talking with the many singles, couples, and families out enjoying the day. Most were first-timers, but we talked to several who had made many trips over to the crater. None had found a diamond, but one guy showed us some jasper he had picked up. Some serious diamond hunters. Just look at that mud! After about 3 hours of hunting, resting in the shade, hunting some more, using the wash area full of large tubs of water to scrape off debris to see if any treasure was revealed, and hunting a little more, we decided to make our way back towards the front entrance. Because all 8 of our feet were caked in thick mud, we were happy to see that the park had an area with several hoses and 2 mounted brushes for cleaning off boots and shoes. Dakota might not have been thrilled with being sprayed down with cold water, but I appreciated having a clean dog to take home! One quick note: the wash area is on top of a long grate, probably so that the water can drain. But be aware that small dogs’ paws could fall through and bigger dogs (I’m not naming any names!) could become frightened of it. Children, however, seemed to love the area. I can’t count the number of kids we saw who were covered head to toe in mud and who stood giggling while their parents just hosed them down. -Dogs must be well behaved and on leashes at all times. Aww, thank you Sandy! I enjoy getting out and exploring this state. And always seem to be stumbling upon something fun. By the way, I’ll bet you’d have much better luck finding diamonds. I might have been a bit preoccupied with the dog and the camera. Ha! It’s true. We had a lot of laughs while out there. I’d definitely recommend it to others! Sounds like one of those priceless days. I have never done this, getting added to the bucket list. It is fun. Happy hunting for whenever you get to go! I’m a native Arkansan but have never ever made it out to the Crater. Maybe with the cooler weather setting in it will be just right for a family weekend. Aren’t there teepees near that you can rent? Oooh, I’m not sure. Teepees sound so cool, I need to check it out! I did see a lot of families there at the Crater having a good time. 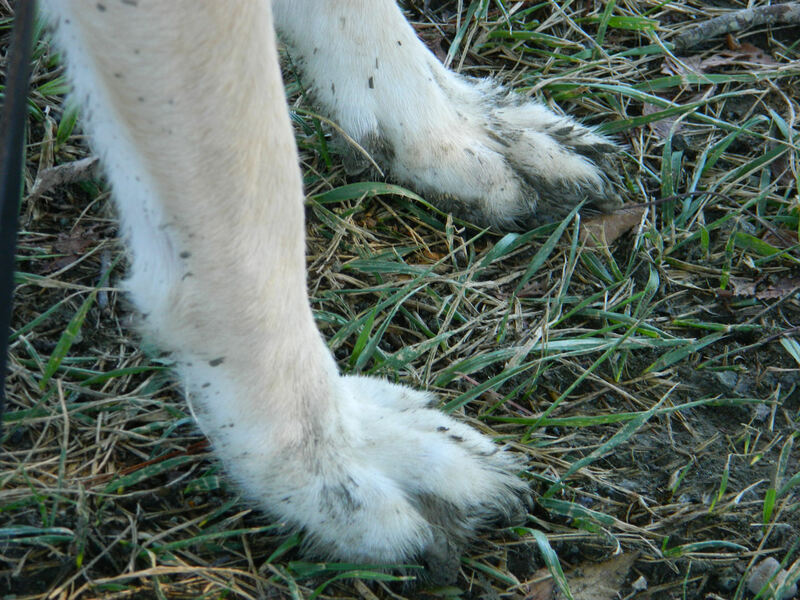 Just beware of the mud if it’s after a big rain! When I was 3 years old, I was holding my Dad’s hand when he found a .73 brown diamond. I have dragged my own family to the park three times. (The first time they were excited to go.) Still no diamond. I WILL find on some day! I WILL! This sounds like a lot of fun! I’m wondering how well I would get around in my wheelchair. I just called and asked them about this Jamie. They said it’s not good for wheelchairs when there’s been rain because of the crazy mud, but it’s a little better when the dirt is all dried out (it’s basically a big plowed field). But they also suggested that those w/ wheelchairs can go down one of the small Ranger roads, which would put you next to the field. Also, many people bring in their own buckets, scoop up dirt, and then sift through the dirt while sitting down, which may be the way to go too. They’re great at offering suggestions so if you ever decide to give it a whirl, just call the park first at 870-285-3113. Happy hunting! A very fun post about a place that had almost become ho-hum for me, with my kids working there to earn college money. It is a very great place to work, that protects it’s teen workers with a vengeance I appreciate! Lets you know what kind of folks are running it. How interesting! The staff people there were very nice to us, so it makes sense that they’d also be good to their employees. I’ve been trying to get my family to take me so I can get some garden rocks. I could care less about the diamonds – ha! Thanks for sharing the tips on the mud so I can plan accordingly. Hehe! That’s all we ended up taking home — some pretty garden rocks.